Dell Latitude 6430u Shipping. WiGig Option Missing! If you’ve pre-ordered the business-focused Dell Latitude 6430u, you could soon have it in your hands as Dell have announced that shipping has started. One thing you won’t be able to enjoy though is the WiGig feature because the dock is not ready yet. That’s quite the disappointment as the 6430u is the first ever laptop to offer tri-band wireless. There’s another gotcha too – the unit may not actually ship with WiGig at all. It looks like the Dell Latitude 6430u is only ‘upgradeable’ to WiGig. 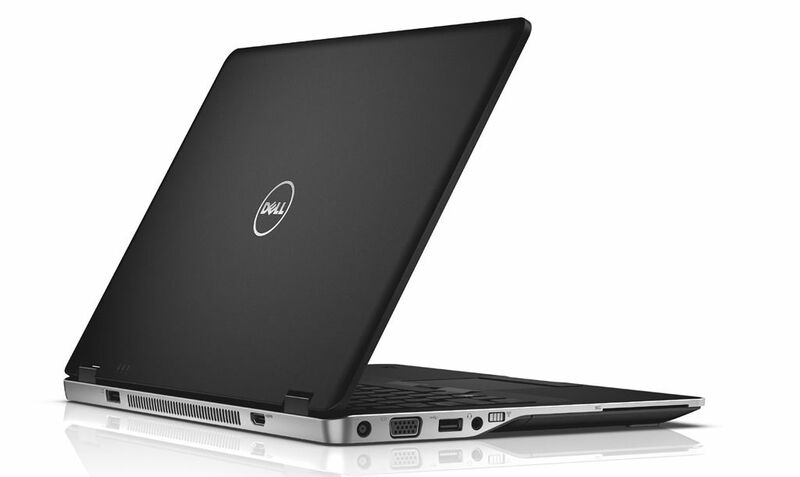 News Comments Off on Dell Latitude 6430u Shipping. WiGig Option Missing! Qualcomm and Wilocity have just released details of the tri-band Wireless card that’s coming to Ultrabooks. 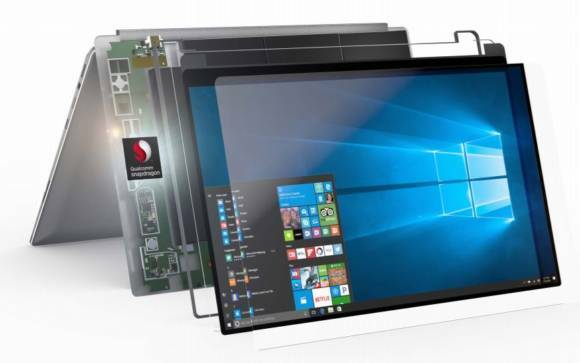 The card is already in the Dell 6430u that was announced with WiGig a few weeks ago and Wilocity think that we’ll see many more Ultrabooks, along with peripherals that include wireless docking stations, in 2013. Qualcomm gave us an update on Mirasol this morning. If you remember, Mirasol is a daylight-readable (transflective) display technology with color. The screen refresh rate and colour depth isn’t that good for video and photo experiences but for reading, it’s getting better every time I see it. If there’s one place glasses-free 3D might work while it requires relatively direct-on viewing angles, it’s tablets. 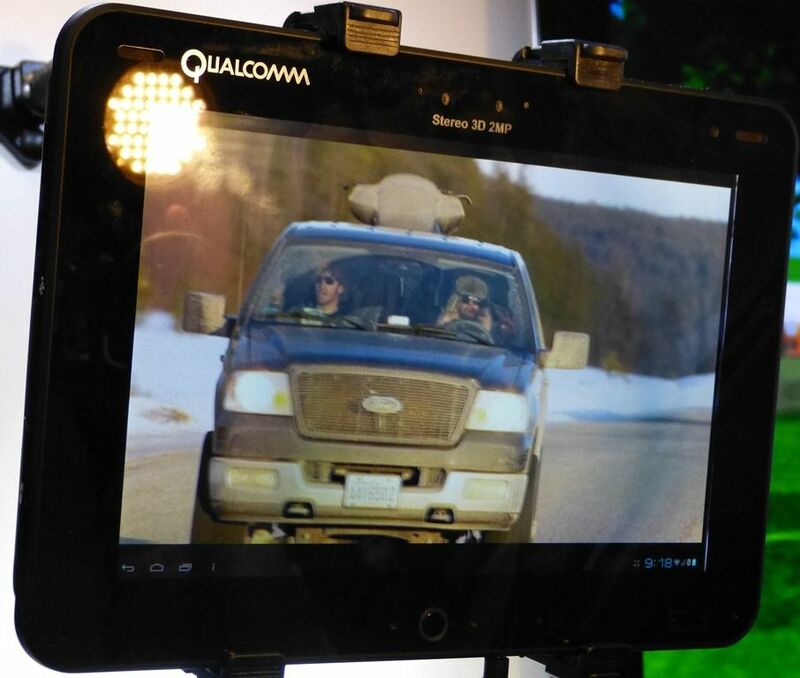 This 1080p demo from Qualcomm and Master Image 3D is a great example of it working well. Of course you won’t see it in this video but the effect was good. There were a few angles where the 3D effect wasn’t working so well but even off-centre, the effect was good. In a direct-on situation though, it’s quite immersive. 6Ghz of Krait CPU in one platform! We just had a demo, the first, of Qualcomm’s next generation Snapdragon platform, the APQ 8064 which contains four Krait Cores running up to 1.5Ghz. 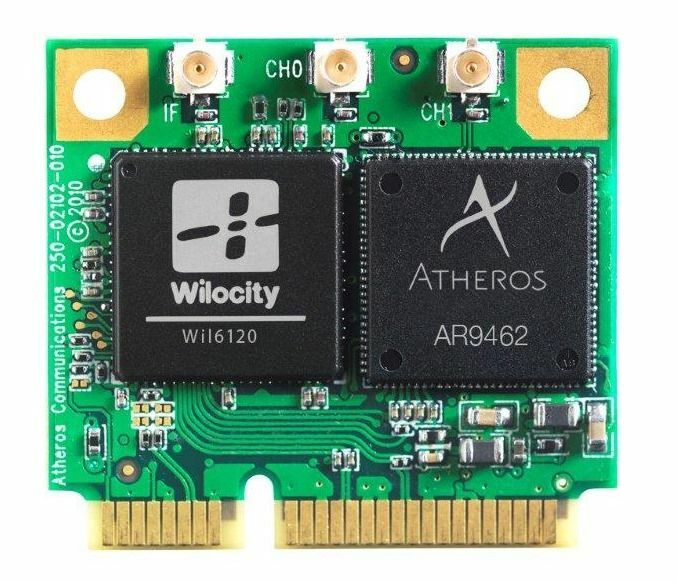 There’s a new graphics module coming too and that’s based around an Adreno 320. I can’t believe how long it feels like it has been since HP announced their forthcoming tablet back in February. I suppose that’s just a side-effect of this fast paced world of technology. 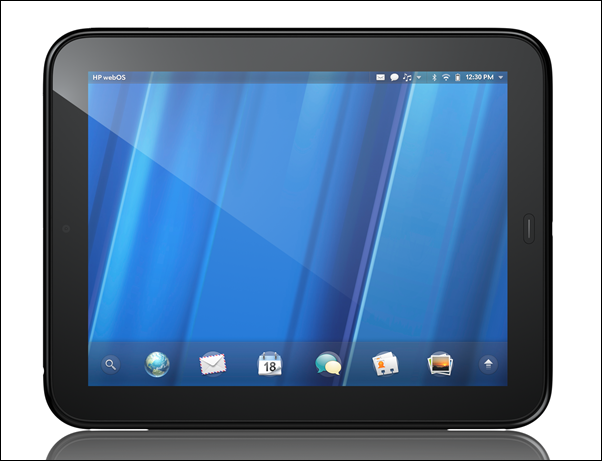 HP has recently announced that the HP TouchPad will be available for pre-order on June 19th, and will be hitting the streets in the US on July 1st. A few days later, you’ll see it officially available in the UK, Ireland, France, and Germany, followed by Canada in mid-July. They’re also planning on taking it to Italy, Spain, Australia, Hong Kong, New Zealand, and Singapore later in the year. Sounds like they’re doing a good job with wide distribution, but my primary concern is whether or not it’ll be able to stand up to the competition and secure a strong foothold in the market for future WebOS devices. 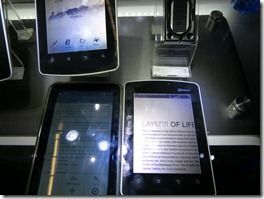 So in this article, let’s have a look at the competition, and what the TouchPad hopes to bring to the field. The first thing we need to look at is price. HP’s biggest competitor right now is undoubtedly the iPad 2. Apple sells the iPad 2 (WiFi only) in 16/32/64GB options at $499, $599, and $699 respectively. 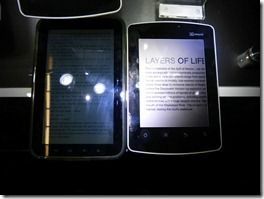 The TouchPad is coming out of the gate with an important characteristic; matching the iPad 2’s price. 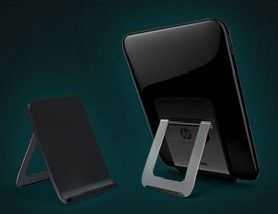 For the WiFi-only model, HP is offering 16/32GB versions at $499 and $599, but they’re lacking a 64GB option. 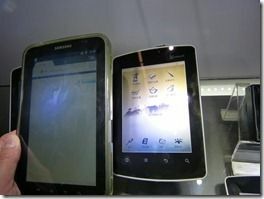 The TouchPad also won’t launch with 3G/4G models available, but we’ll see them at a later time. Ideally, HP would have undercut the iPad, but with a level playing field in the price department, customers can begin to compare features. This is important as I think when put side-by-side with the iPad 2, customers are going to find some compelling reasons to go with the TouchPad. Murmurs of wireless charging have been floating around as possible iPhone 5 features for some time now; Palm (now acquired by HP) has actually been doing it since the launch of their Pre smartphone. HP is bringing that technology to the TouchPad by including the necessary hardware in the back of the device, and offering what they’re calling the ‘Touchstone’ dock as an accessory. While wireless charging is certainly convenient, it’s important to realize that the Touchstone dock is sold separately and has still not been priced. Wireless charging would set it apart from the crowd, but if the Touchstone dock isn’t priced competitively, we may as well forget about the feature. I’m hoping to see the pricing for the dock come in under $100, ideally around $50, making it an easy add-on sell at the time of purchase. This just in: HP has announced Touchstone dock pricing at $80. Not bad, but hopefully we’ll see it come down after launch or eventually be bundled as a bonus for a period of time. The TouchPad has a visually compelling multitasking interface. 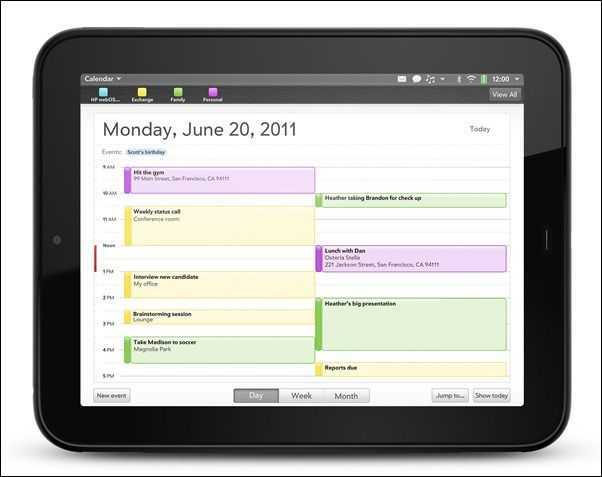 Using a card-style system, WebOS allows the user to flick through all of their currently running applications. Applications are not viewed as simple icons as in iOS, but rather as large cards that show the application in its current state. Being able to see exactly what you were working on when deciding which application to switch back to is more valuable then it may seem. In iOS you have nothing but an icon in a recently used list to decided which applications to jump between. The problem being that some applications have redundant uses, so it can be difficult to remember exactly which application you need to return to. For instance, if a friend shares a link on Facebook and I click on it in the Facebook app in iOS, that app will open the webpage within itself. If I switch to the Messages app to respond to a message then want to return to what I was doing, I have to remember that I was viewing a webpage inside the Facebook app, not the browser. Often times I’ll instinctively switch to the browser only to realize that I was actually viewing the website within Facebook. A visual representation of the app state would totally fix this problem, and that’s exactly what multitasking on the TouchPad will do. Honeycomb does graphically represent multitasking apps in a limited way, but the view of other applications is relegated to a relatively small thumbnail which somewhat serves to defeat the visual functionality. 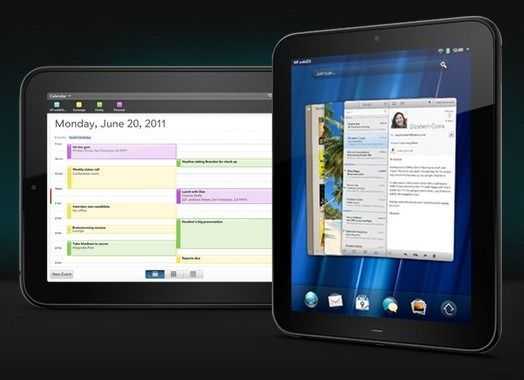 The BlackBerry Playbook is definitely the closest to the TouchPad when it comes to visual multitasking (and some might say that they borrowed quite a bit from WebOS’s multitasking scheme). Being able to see your open apps before you start interacting with them is great, and WebOS also gives you the ability to stack related applications together to keep yourself organized. And it’s easy to close applicationsâ€¦ just flick them off the screen â€“ a single gesture. To stop an application in the background on iOS, you have to double-tap the home button, then hold your finger on an icon until they shake, then tap the little X that appears at the top right of the icon. To close background applications in Android you have to press the back button until you back all the way out of the application, dig through the settings menu, or use a task manager. 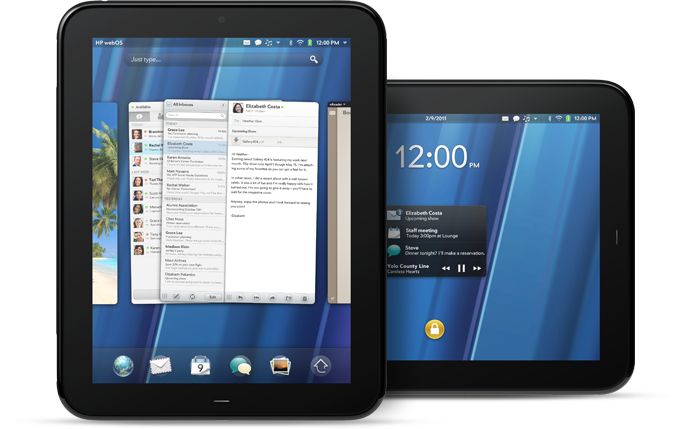 Synergy is embedded in WebOS and aims to keep all of your communication from various sources in order. For messaging, SMS and IMs from the same person are shown in one threaded conversation. This has always intrigued me as a feature. On one hand it seems intuitive and useful, but on the other, I feel like you’d be majorly confusing the other party if you were responding to something they sent in IM through SMS, or vice versa. You can sign is with a number of sources, such as Facebook, Google, and Exchange, and Synergy will consolidate your contacts and their information into single entities in your contacts list, and if you make changes on your phone, they’ll be reflected online automatically. You’ll also be able to get email from all of these sources in one inbox. Synergy will pull calendars from these sources into a single view, and allow you to manage personal and work calendars easily. Once again, if you make adjustments to calendars on your phone, you’ll see their online counterpart adjusted as well. For photos, Synergy will present your online albums right on your device as though they were local. HP says they’ve currently got support for Facebook, Photobucket, and Snapfish, though they’re obviously missing two major ones â€“ Picasa and Flickr. Apple’s iOS does some of the things that Synergy does, but Synergy is open to developers, which means there is potential for more services and more functionality than iOS allows for. This is probably the TouchPad’s strongest point, and it’s something that does not exist elsewhere on the market right now. HP is going with the ‘better together’ mantra. You’ll be rewarded if you go with HP for both your tablet and smartphone needs, thanks to some tight integration between the upcoming Pre 3 (or Veer) and the TouchPad. First, you’ll be able to pair the Pre 3 and TouchPad via Bluetooth and this will allow you to answer calls and receive and reply to SMS from the TouchPad. This is great because if you’re relaxing on the couch with your TouchPad, why should you have to get your phone (with a small screen) out of your pocket just to reply to a text? If you’ve got the big screen right with you, it seems to make much more sense to use it, and with the TouchPad, that’s possible. Then there’s a particularly cool parlor trick that you’ll be able to pull using the Pre 3 (or Veer!) and the TouchPad. If you’re browsing a website on your TouchPad but you’ve got to run out the door, you can easily just touch the Pre 3 to the tablet and, voila, the website will be automatically transferred from the tablet to the phone. This will work between tablet and phone or between phone and tablet. This relatively simple trick is going to ‘wow’ non-techies with it’s simplicity, and hopefully HP will extend this functionality to allow you to send any number of items between devices, from photos to maps. It’s free to begin developing for WebOS which is certainly attractive for small developers, who would otherwise have to pay a $99 iOS developer fee. This is good for attracting the little guys but probably doesn’t have much of an impact on larger companies who will be more worried about a larger user base to distribute to rather than the existence or non-existence of a relatively small fee. This one tends to be overlooked when it comes to tablets, but if you’re looking for a productivity device, the ability to print can be a key feature. 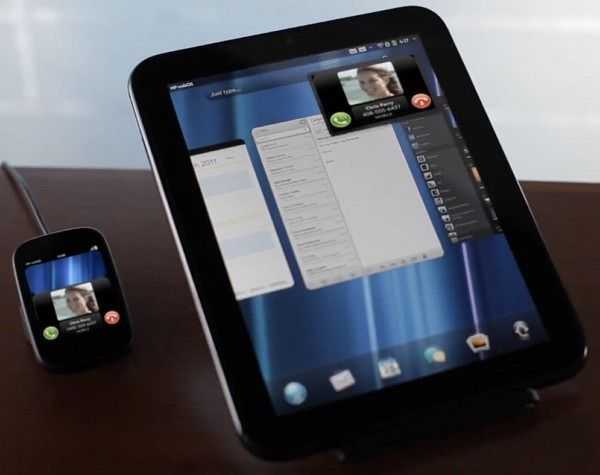 Because HP is one of the largest printer manufacturers, they’ve been able to built in wireless printing support for their massive connected-printer ecosystem directly into WebOS. As we can see, the TouchPad has a lot going for it in the features department. That doesn’t mean it’s perfect however. 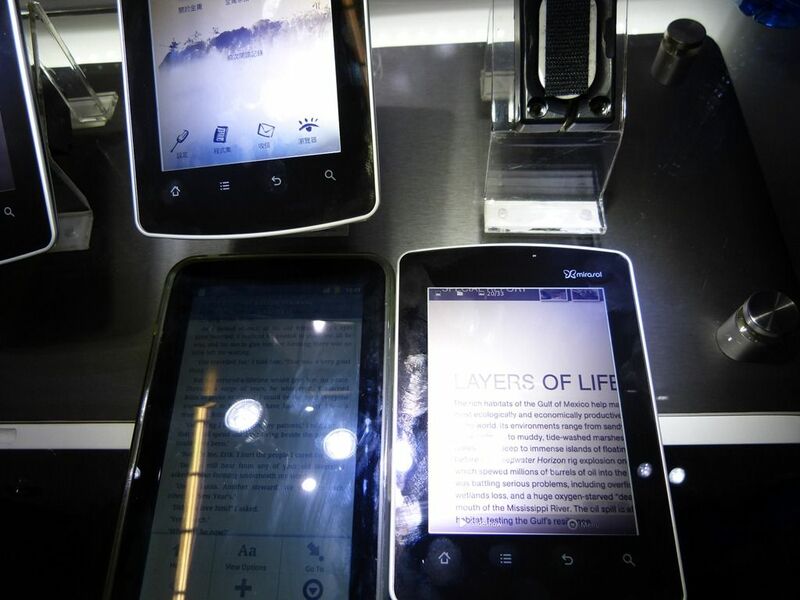 There are some roadblocks in the way to it becoming a major player the tablet market. HP is a big company, but currently, Apple is king of content, and Google looks to be hot on their heels with some recently announced content partnerships. HP says that the TouchPad will be great for digital publishing, but it’s unclear whether or not they currently have the relationships necessary to compete with Apple’s iBooks and upcoming Newsstand. Music and video is an even more challenging place for the TouchPad. HP doesn’t have an existing music or video marketplace from which users could purchase content. This means that users will need to find content elsewhere, all the while leaving HP without a cut of profits from content that might have been sold through a store of their own. This is a particularly troubling area for the TouchPad. The device is extremely barebones when it comes to connectors. In fact, the only connectors on the device are a single micro-USB port and a 3.5mm headphone jack. There’s no full-sized USB, micro-SD slot, or HDMI. HDMI is particularly troubling as the TouchPad will be one of the only tablets without this feature. Nearly every Nvidia Tegra 2 based device features some form of display output, and even the iPad 2 can do 1080p display mirroring wirelessly or with an HDMI adapter. Because the TouchPad doesn’t have a dock connector, there’s no room for adapter accessories (unless they are wireless, but they’d be slow BT 2.1 connections), and this could be a major problem for people who want to be able to output videos and presentations at work, or share movies and pictures at home. Then there’s the fact that HP is only offering the TouchPad in 16/32GB iterations with no slots for memory expansion. 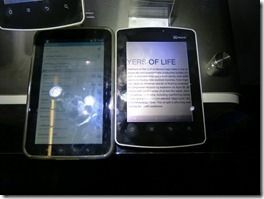 When potential customers look at the TouchPad next to devices like the Asus Eee Pad Transformer, which can handle pretty much any USB device that you might throw at it, and has support for expandable memory, the TouchPad’s paltry connector and memory options will certainly leave much to be desired. Despite all of the great features, the TouchPad is unlikely to succeed if it doesn’t stack up when it comes to performance. Apple’s iPad 2 is using their custom A4 CPU along with a PowerVR SGX 543MP2. Most 10 inch Honeycomb devices are using the current industry standard â€“ Nvidia’s Tegra 2. The WiFi-only version of the TouchPad, on the other hand, is using a Qualcomm Snapdragon APQ8060 dual-core CPU which runs at 1.2GHz (the future 3G/4G versions will likely use the MSM8x60 which has support for 3G/4G modems). 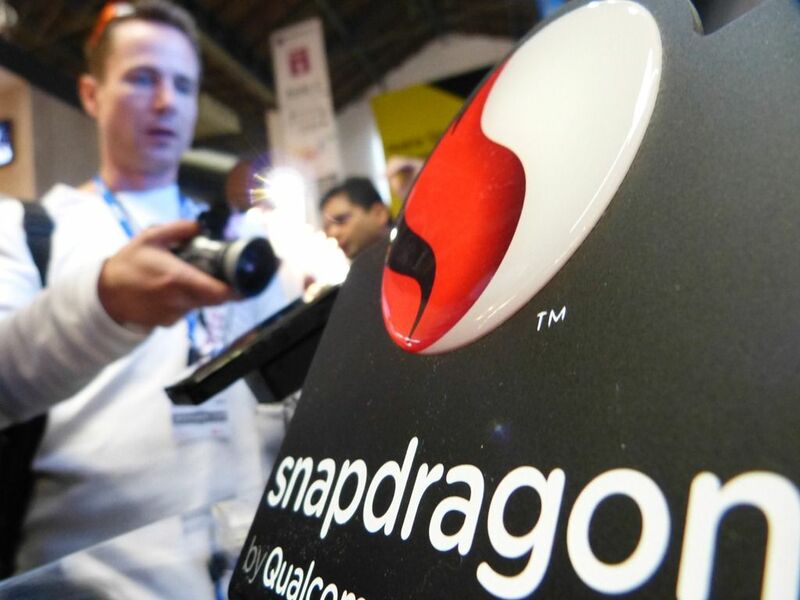 The GPU is Qualcomm’s Adreno 220, which will offer over 4x performance when compared to the Adreno 200 GPU which is already found on devices that use the Snapdragon QSD8x50, according to Qualcomm. They also claim the the Adreno 220 will offer â€œconsole quality inch graphics, but that’s very loosely defined terminology. Qualcomm says that their APQ8060 will be able to handle 1080p video playback and capture (though the latter doesn’t matter because the TouchPad lacks a rear camera, and the front cam isn’t high resolution enough for 1080p capture). Accelerated video codecs include MPEG-4, MPEG-2, H.264, H.263, VC-1, DivX, WMV-9, Sorenson Spark, and VP6. No other consumer device has yet been shipped with the APQ8060, but Qualcomm says that the CPU will provide a 60% increase in performance and lower power consumption than standard ARM A9 dual-core CPUs that have been seen in a number of recent devices. That stat may only be valid when the APQ8060 is clocked to its maximum 1.5GHz, however, HP is only clocking the TouchPad to 1.2GHz (likely for heat and battery life balance). Clocking to 1.2GHz means that they’ve got some room to play with the speed down the road, and we may see a bump in clock speed at a later date, to keep the performance competitive (as we’ve seen Apple do with their iPod Touch line). Qualcomm claims that the real advantage is the asynchronous design of the APQ8060’s two cores, which allows for each core to be clocked and powered independently. They say that this will lead to large power savings over competing chips, but the CPU is now a relatively small part of the overall power footprint â€“ the TouchPad’s large screen is likely to be the biggest energy drainer in the system. When it comes down to it, these figures won’t mean much unless the software is optimized to take advantage of the features afforded by the CPU and GPU. However, it doesn’t seem as though the TouchPad will be coming out of the gate underpowered, which is definitely a good thing; it could possibly lead the pack until we start seeing Nvidia Kal-El devices which are slated to begin production in August. 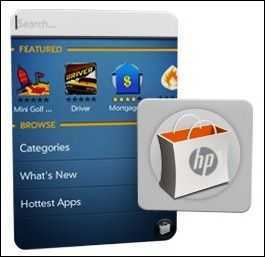 HP’s application store is officially dubbed the App Catalog. Though it has been existence since June of 2009, the App Catalog has less than 7000 applications, according to Pre Central. 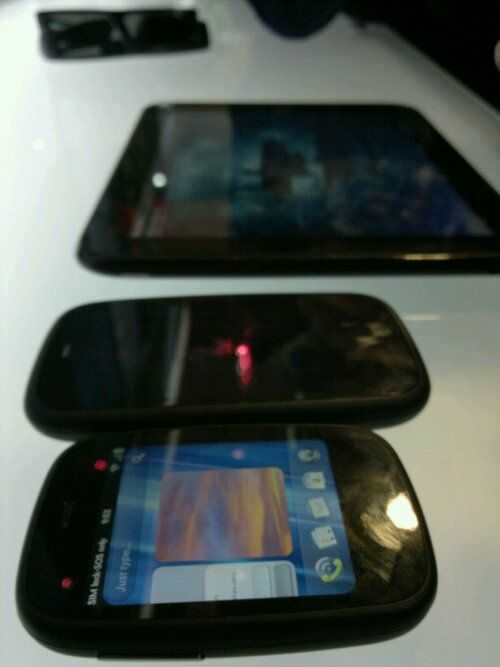 The vast majority of which are designed for WebOS phones, not tablets. This is in comparison to the Android Marketplace’s 200,000+ apps and Apple’s App Store which has 425,000+ apps. An app store can make or break a platform, and building one from the ground-up, when the competition has such an insane lead, is tough. Numbers of apps matter little to consumers, as long as the major apps are there, but in order for major apps to be created for the platform, you need developers. No matter how popular the TouchPad is when it launches, it’s got a long way to go before reaching a similar customer base for app developers (a major factor when a developer decides which platforms to create apps for). And because HP uses the same revenue share for developers as iOS and Android (70% of an app sale goes to the developer, 30% to the company), there is almost no incentive for a developer to create a WebOS application before an iOS or Android application when the customer base of the latter two is so much larger. 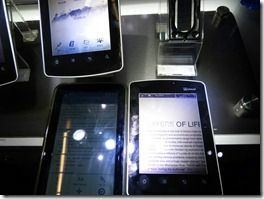 HP is a big company and they are certainly well recognized, but definitely not for tablets or mobile operating systems. Marketing is going to have to convince the mainstream that the HP TouchPad isn’t a â€œme too inch move, but rather that the device and the ecosystem has a serious plan backing it up (along with a future roadmap). 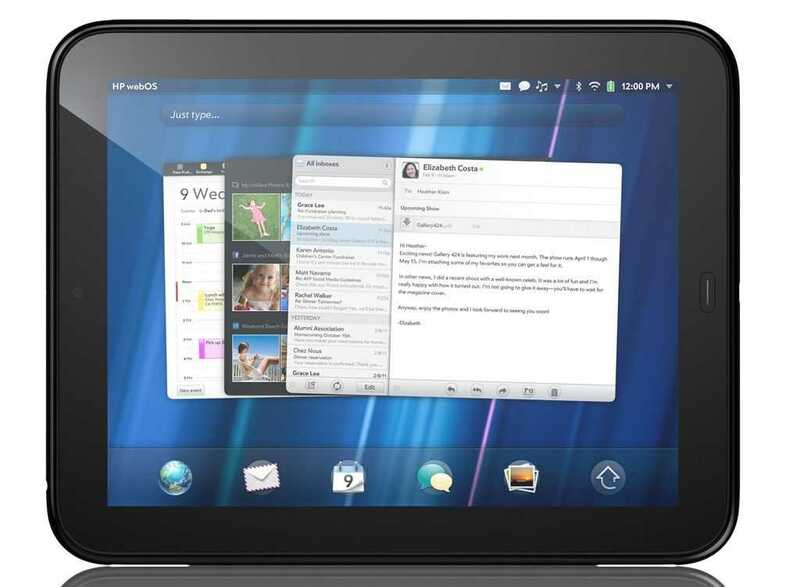 While iOS and Android are now more or less household names, WebOS is practically unheard of in the mainstream. Combine that with the fact that HP isn’t known as a company that manufacturers tablets (or even mobile devices in general) and you’ll see that HP is looking at an uphill battle when appealing to non-techies. Apple uses a closed-ecosystem approach and they’re known for doing it extremely well. From their OS to their devices, everything is in Apple’s control. Android uses a open-ecosystem in which OEMs are welcome to create numerous devices, and developers have way more freedom in creating software for the platform. Now here comes HP with WebOS and a closed-ecosystem approach but the difference between them and Apple is that HP doesn’t have a proven track-record for making that model work. So when a customer looks at the options, it seems likely that they’ll either go the open-ecosystem, or go with the well established closed-ecosystem â€“ Apple. HP is going to have to work to convince people that their closed-ecosystem model is as good, if not superior to Apple’s, if they want mainstream consumer adoption. Honestly I think there’s a good chance that we’ll eventually see third-party WebOS devices if HP is unable to tempt people away from one closed-ecosystem (iOS) to another. 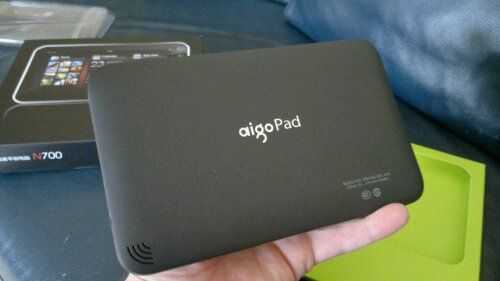 All and all, the TouchPad will be walking out the door on the 1st of July with a decent chance to succeed. They’ve hit the all important iPad 2 price-point and they are some really neat features to temp people toward this new player in the tablet market. On top of that, the Snapdragon CPU that the TouchPad is launching with should provide ample performance that is on par if not somewhat better than what we’re seeing on existing tablets. The biggest threats to the TouchPad, in my opinion, are the lack of connectors, a weak App Catalogue, and forthcoming Kal-El based Honeycomb tablets. In my mind, I see HP releasing a TouchPad 1.5 sometime around 6 months after the TouchPad is released that adds some important ports and to bump the performance to compete with Kal-El devices and the iPad 3 â€“ this ‘1.5’ device could come along with a 7 inch version of the tablet. 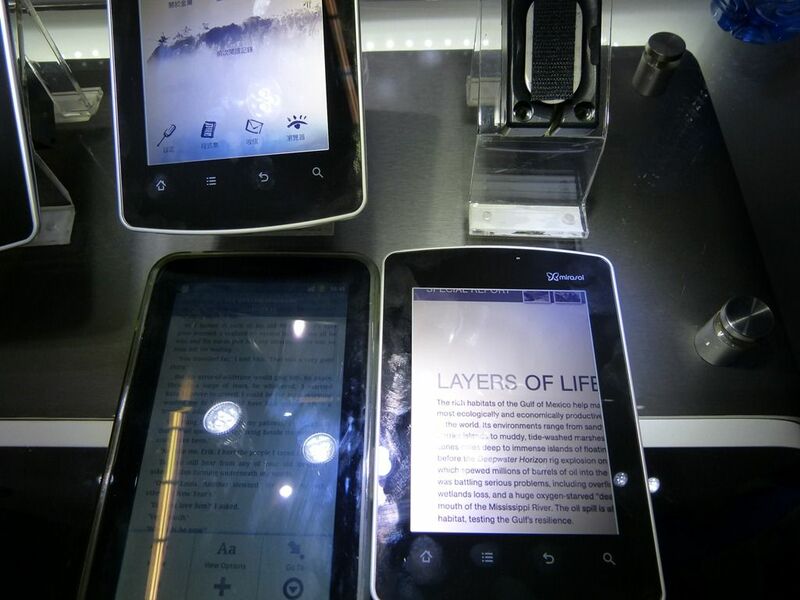 What are the features that you are most looking forward to from the TouchPad? Which of it’s weaknesses concern you the most? I’d be very interested to know in the comments. And it’s easy to close applications… just flick them off the screen – a single gesture. To stop an application in the background on iOS, you have to double-tap the home button, then hold your finger on an icon until they shake, then tap the little X that appears at the top right of the icon. To close background applications in Android you have to press the back button until you back all the way out of the application, dig through the settings menu, or use a task manager. For photos, Synergy will present your online albums right on your device as though they were local. HP says they’ve currently got support for Facebook, Photobucket, and Snapfish, though they’re obviously missing two major ones – Picasa and Flickr. Apple’s iPad 2 is using their custom A4 CPU along with a PowerVR SGX 543MP2. Most 10” Honeycomb devices are using the current industry standard – Nvidia’s Tegra 2. The WiFi-only version of the TouchPad, on the other hand, is using a Qualcomm Snapdragon APQ8060 dual-core CPU which runs at 1.2GHz (the future 3G/4G versions will likely use the MSM8x60 which has support for 3G/4G modems). The GPU is Qualcomm’s Adreno 220, which will offer over 4x performance when compared to the Adreno 200 GPU which is already found on devices that use the Snapdragon QSD8x50, according to Qualcomm. They also claim the the Adreno 220 will offer “console quality” graphics, but that’s very loosely defined terminology. 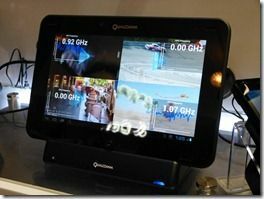 Qualcomm claims that the real advantage is the asynchronous design of the APQ8060’s two cores, which allows for each core to be clocked and powered independently. They say that this will lead to large power savings over competing chips, but the CPU is now a relatively small part of the overall power footprint – the TouchPad’s large screen is likely to be the biggest energy drainer in the system. HP is a big company and they are certainly well recognized, but definitely not for tablets or mobile operating systems. Marketing is going to have to convince the mainstream that the HP TouchPad isn’t a “me too” move, but rather that the device and the ecosystem has a serious plan backing it up (along with a future roadmap). So when a customer looks at the options, it seems likely that they’ll either go the open-ecosystem, or go with the well established closed-ecosystem – Apple. In my mind, I see HP releasing a TouchPad 1.5 sometime around 6 months after the TouchPad is released that adds some important ports and to bump the performance to compete with Kal-El devices and the iPad 3 – this ‘1.5’ device could come along with a 7” version of the tablet. We’ve just had a demo of the HP Touchpad and will be giving you that video later. Smoothness could even be one step up above the Xoom we tested earlier but of course what’s the future for the development ecosystem? Is this range of products good enough to make it work? We’ll head back to see if we can get our own hands on later. Thomas and I watched the HP event as close as we could this evening (Credit to Engadget and Twitter!) and I think it’s fair to say that we were both impressed with the might of the announcements. The main event for us was the launch of the Touchpad and after just a few hours of mulling over the specs, hands-on and information, we’ve put some thoughts together for you. It’s slick, it’s powerful and it’s the underdog. 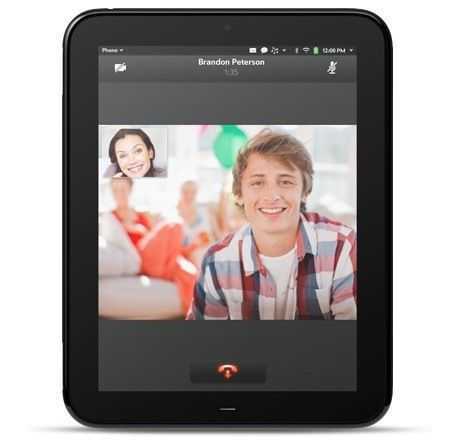 The HP Touchpad, announced today, is getting a lot of support from the online community this evening. Or is it just the bloggers and twitterers going mad to get their early SEO and follower-optimised articles and keywords in? It’s targeted directly at the iPad with a similar look and, we suspect, a similar price but there are a few differences to point out. Number one, of course, is the operating system. ‘True’ Multitasking (some of the UI features are targeted towards true window-multitasking) and a good track record of usability and speed. It’s an operating system, however, that doesn’t have the application database that the iPad has so it will have to draw users (and devs) in by other means. Storage, screen, weight, battery and sizing seem very similar to the iPad. You’ve got the micro-USB port and BT 2.1 of course so at least the OS is more open to physical connectivity and there’s that touchstone technology (if you’ve got both a pre, a touchpad and the touchstone accessory – or is it BT3.0 near-field â€“ you can do some neat tricks too) but that’s about it. The key feature is really the OS brand and the CPU and with the iPad 2 coming up, that CPU advantage is likely to drop away. You’re left with an OS, applications and content choice. Both iOS and WebOS appear to have a productivity angle. 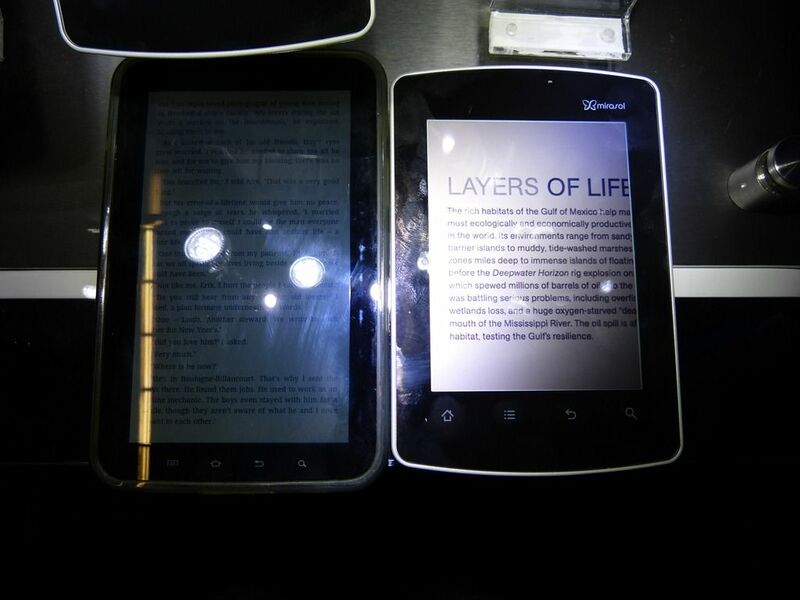 Both, to be honest, are going to be slick devices. 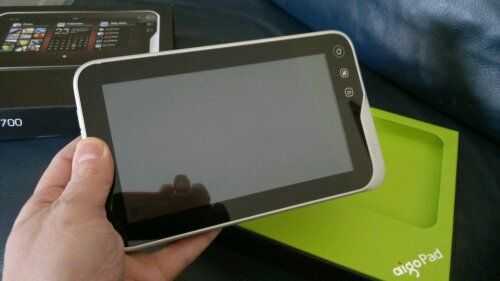 At the end of the day, the HP Touchpad is going to be for the people that want an iPad, but don’t want an iPad! I doubt many Google users (mail, maps, talk, reader users) are going to be tempted away from Android if it does look less impressive although yes, there’s a growing number of new customers out there still trying to make a decision. Could pricing be the answer? It has to be in my opinion because unless HP can ramp up a serious amount of devs and apps before launch, it hasn’t got enough to give it long-term momentum. The Touchpad is a very nice looking device, powered by the compelling webOS and backed by one of the worlds biggest PC manufacturers. So, why do I remain sceptical? Firstly, it’s not about the device, it’s about who uses them. iPhone users are familiar with iOS and are much more likely to choose the iPad. Android users are generally familiar with Android (duh?) 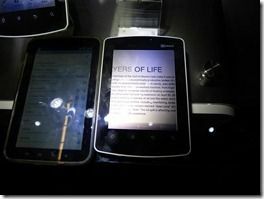 and even with the various custom user interfaces I can see Android customers to be more familiar with a Galaxy Tab, Motorola Xoom or any other Android tablet. The same can be said for any platform, however this could never useful to HP with the webOS platform in it’s current state, thanks to it’s limited user base. Secondly, not only did Apple and Google have a large number of users on-board when they announced their tablet platforms, they had developers too. 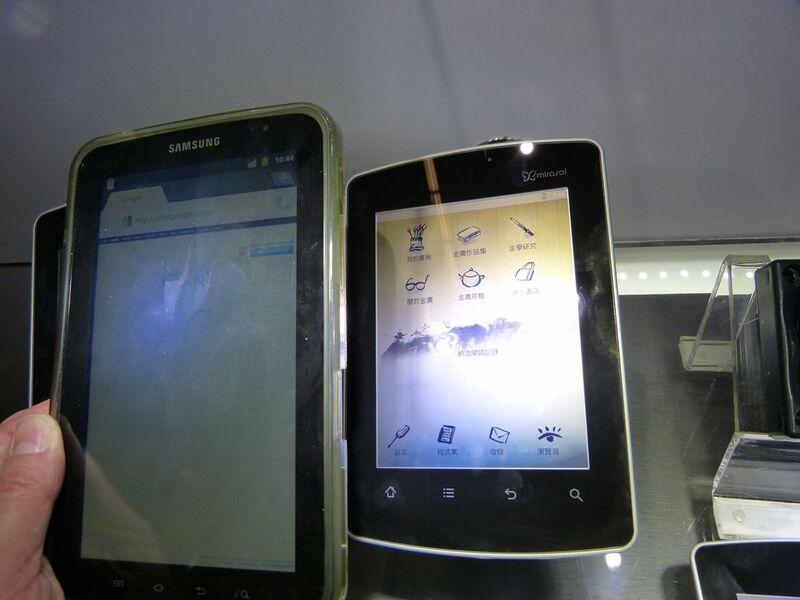 Both Apple and Google can both boast a well stocked application store, something that HP / Palm can not. Don’t get me wrong, I wish HP every success with their new webOS products, but in terms of tablets your average consumer will only be willing to spend big money if they’re buying the best available product. 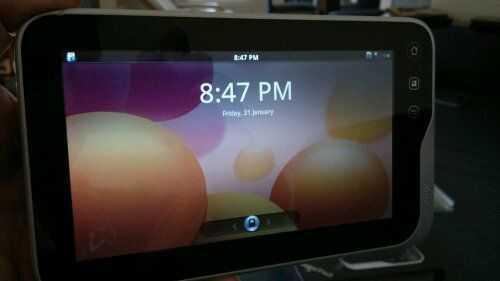 Much like the early days of Android, users won’t flock to webOS till the platform is right, never mind the product. I’d say selling the Touchpad in vast quantities will be an upward struggle for HP, unless of course they can keep the pricing down. Buy one Pre 3, get a Touchpad half price – any takers? Aigo N700 Landed. First Thoughts. 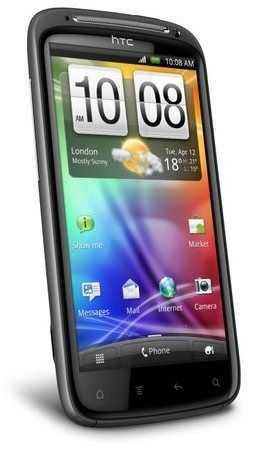 Think4it Solutions have just sent over an Aigo N700 that they are testing with a view to distributing in the UK. 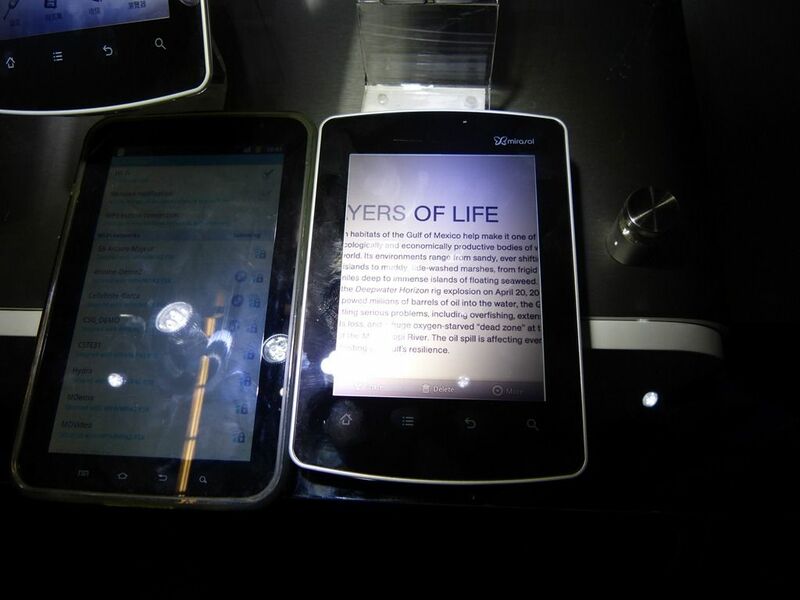 The N700 already sells in China and with 3G, it sells for, I’m told, around $300. Running on an unspecified Qualcomm platform at 600mhz it isn’t the fastest device and I’ve managed to determine that it is an older ARMv6 core which means it’s similar in build to the Viewpad 7. 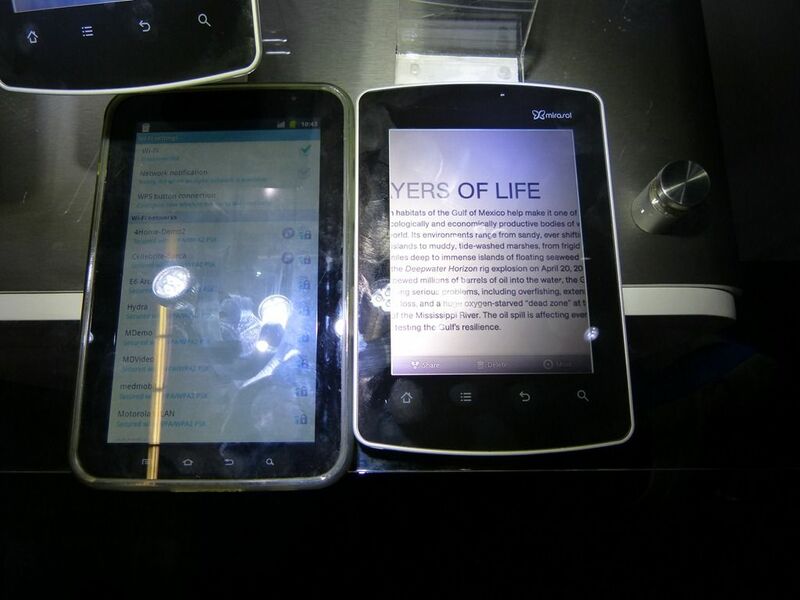 Where the Viewpad 7 has Google approval though, the N700 doesn’t and that means no Market, no Gmail, no Google sync. An 800×480 screen also outs it at the budget level and when you consider that it has an Android 2.1 build, you wonder how this will compete on anything but price. The build quality and look of the device are good but I’m really looking for a unique selling point. With the Viewpad 7 covering the lost cost 3G / Google approved market and the Archos 70 covering the low cost, high performance non 3G market the only place the N700 would have fitted is with 3g + ARMv7 either with or without Google Market to sit between the surprisingly large space between the Archos 70 and the Galaxy Tab. With Viewsonics next 7-er looking like it might slot in there, I’m doubting the Aigo N700 will fit anywhere unless it comes in at a super bargain-basement price.